This work is funded under the “Strategic Ocean Funding Initiative” (SOFI) of the NERC Oceans 2025 research programme (Grant # NE/F012241/1). We also acknowledge the RAPID-THCMIP project. 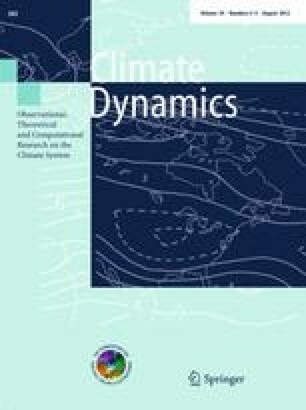 The authors are grateful to Juliette Mignot, Eric Guilyardi and Claude Frankignoul at LOCEAN (Institut Pierre-Simon Laplace, Jussieu, Paris) for their useful comments. We finally thank the editor and two anonymous reviewers for insightful remarks and constructive suggestions that led to substantial improvement of the manuscript.